Your business goals can maximally benefit from your organization’s ability to clearly guide visiting customers. Customers should find it very easy to visit your business. This task can only be made as simple as possible through the use of descriptive outdoor directional signs which can help them to move from one point to another. Apart from the fact that wayfinding or directional signs can make it very easy for vendors, visitors, and employees to find their way to your company and help them find locations around your building or complex, they can also contribute to your décor if well executed. 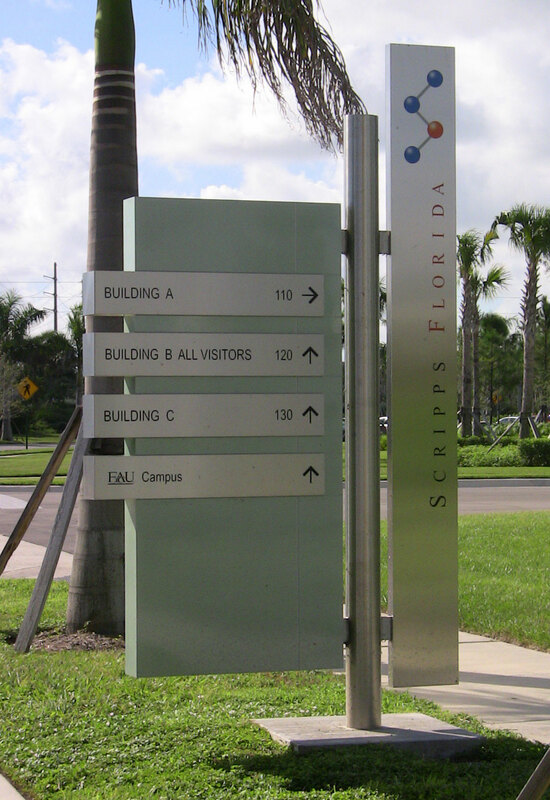 Primarily, custom directional signs are used in hospitals, entertainment complexes, buildings, parking garages and government buildings, just to mention but a few. Although directional signs are controlled by the signage guidelines stipulated by the American with Disabilities ACT (ADA) and other state or local laws, they generally do not have any permitting issues to deal with when used inside buildings. It is recommended that you use materials of high-grade quality to produce your directional signs. 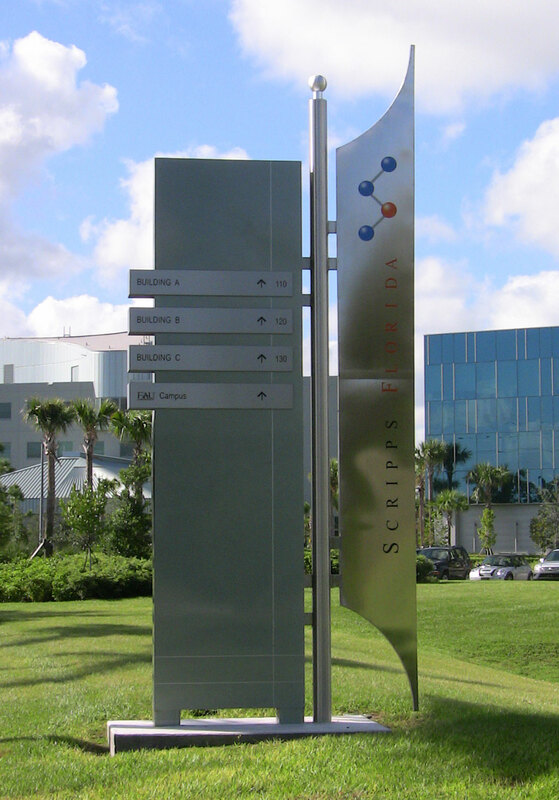 Custom Signs Today often utilize acrylic substrates, HDU, and aluminum to manufacture and design directional signs that require minimal maintenance to effectively perform and last longer. 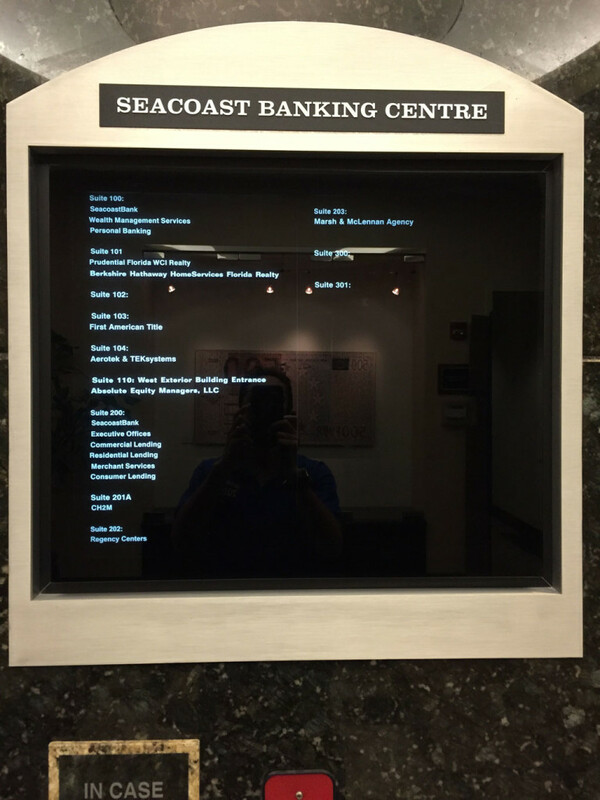 When it comes to creating decorations and inscribing letterings on your custom directional signs, we employ various techniques such as routing, sandblasting, engraving or the use of vinyl letters. Custom Signs Today can also provide a modular component system that is easily changeable as well as paper insert formats. With these methods, we are capable of creating new signs that have a consistent theme with your already existing promotional and identification signs. All of our signage programs are customized, that is why each of our clients have gotten a unique sign. If you need outdoor signage for any of your projects, feel free to contact us. We can assist you to effectively to get that incorporated for you.